This quote has always drawn me, not for the context of which Faulkner wrote (the ability to look back on secessionist glory in the wake of the Jim Crow era), but for the possessiveness it signifies. ‘For every Southern boy, not once but whenever he wants it…’ is the key. For all of us, we have that place where we feel ‘home’, usually the place where we were born. This feeling is especially acute for those of us (myself included) from Kentucky: caught between Midwestern corn fields, Southern plantations, Appalachian mine fields, and the slow crawl of the Mississippi, we have taken our stand amidst other cultural regions and created our own way. As a result, Kentucky has a distinctive, almost clannish state personality that few other states have (Missouri and Texas are the only others that immediately come to mind). As Faulkner wrote, us Kentuckians can summon up memories of home or the longing for our state, ‘not once, but whenever [we] want it…’, so deeply ingrained is the unique, beautiful, often terrible nature of our homeland. Panopticon’s A. Lundr understands this. Much in the same way that the poetry of Wendell Berry grounds us Kentuckians in our homeland, giving us places to see, the thickness of the summer air to feel, Panopticon’s music provides a soundtrack to the fields and hills that gave us life.Kentucky opens with a bluegrass jam that suddenly gives way to blasting black metal, before coalescing into Alcest-style post-black, and ultimately returning to lilting bluegrass. It’s the Kentucky summer: vibrant morning roiling into an afternoon squall, fading into an evening sunset over the wooded hills. Most of all, it’s recognizable: for any Kentucky metal fan, it spurs an instant recollection of the land and the culture that inhabits it. Listening to Kentucky, one could easily be surveying the valleys from a cabin atop the hills of Pike County, whittling tools from the boughs of oak trees, or watching the sun rise from behind a ridge where horses graze in Nelson County. One of the songs even references “the dis-harmonic symphony of the cicadas,” an instantly familiar sound to any born-and-bred Kentuckian. Gone is the Norse mythology that Panopticon used to sing about: Lundr is now focused on his birth home rather than his ancestral one. But Panopticon’s music is not all bluegrass and bourbon. It’s the full spectrum of Kentucky: coal mines, poverty, and dead-end meth-blighted towns mixing with hardwood forests, rolling pastures, and hidden beauty, alongside a glorious history and a culture equally innocent and bloody, as much a microcosm of the US as its own unique experience. It’s a quintessential Kentucky experience, and one aspect cannot be had without the other. For as much beauty as is conjured in ‘Bodies Under the Falls’, the track is about the 1810 Ywahoo Massacre, where white settlers massacred Cherokee women and children. Lundr goes as far as to cover ‘Which Side Are You On?’ and ‘Come All Ye Coal Miners’, two classic songs from the 1930s Kentucky labor disputes. Those tracks lead to the simply blistering black metal of ‘Black Soot and Red Blood’ and ‘Killing the Giants as they Sleep’. Panopticon may have come to focus on America rather than Scandinavia, but it’s no less a political project than before. That said, Kentucky does a good job in categorizing these disparate emotions: the album begins with the simple beauty of ‘Bernheim Forest…’ and passes through the darkness before ultimately ending, exhausted but confident, in the somber, folksy beauty of the title track. The music of Kentucky has often been described as ‘the high lonesome sound’, whether ascribed to the gnawing keen of Roscoe Holcomb or the impassioned bleat of Bill Monroe. 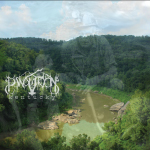 With Kentucky, Panopticon have taken ‘the high lonesome sound’ and updated it to the 21st century. There is little form of metal more ‘high lonesome’ sounding than black metal, and to hear the bluegrass/old-time tunes morph effortlessly into cavernous BM is to unite generations of Kentuckian music under a single banner. This is also Panopticon’s most melodic release to date. Bluegrass is nothing if not highly tuneful, and the metal that accompanies it reflects that. Dual guitars are pulled off seamlessly (impressive given that it’s a one-man project) and Lundr’s drumming, always a high point of the band, has reached a new level of technicality. The guy could replace George Kollias, were he so inclined. As always, Lundr doesn’t let any one non-metal influence take precedence over the others: obviously, bluegrass is a major component but ‘Killing Giants…’ has a long ambient stretch at the end that sounds damn near like a Gregorian chant, and cello and Irish tin whistle move through the tracks conspicuously but not obnoxiously. Lundr knows he can evoke place without making a regional caricature of it, which is partly why this album is evocative in ways most region-centric folk metal is not.